Turkey is just a short boat trip away from Rhodes, an opportunity not to be missed. 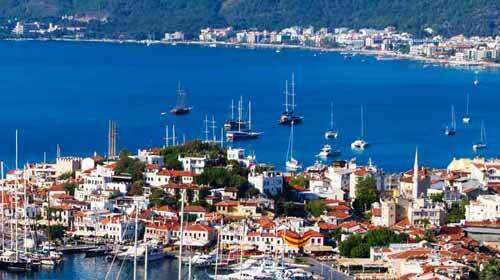 We will take you to the modern marina in Marmaris where you are free to explore the huge bazaar of shops and stalls, soak up the atmosphere and indulge in some retail therapy. Bargains await in the form of leather, gold, carpets and T-shirts! Don’t forget to haggle though, bargaining is a way of life here. Flat shoes,Sun tan cream and hats are a must. Always carry a small bottle of water. Passports are required on the day.